You just updated your kitchen and had quartz countertops installed by A Polished Finish from Atlanta. You are very impressed with how your kitchen looks and are eager to showcase it to your friends. There is no better way to do this that by throwing a party. Throwing a party gives you the perfect opportunity to see some friends you haven’t spoken to for a while and let them enjoy themselves in your updated kitchen. It will be a wonderful time for all. That is, if you don’t screw things up and throw a lousy party. It can happen you know. You might think everything is going good, but then, right around nine, people start making excuses as to why they have to leave. You scramble to try to save what few guests you have left, but to no avail. You sit at your kitchen table and ponder why this happened. Could it have been the food? Maybe you didn’t offer very fun games or activities. Perhaps you played too much Ed Sheeran. Your party was killed because you were too heavy with Ed Sheeran in the music mix. But it was also because you served overly- salted Chex party mix. And you served Coors Light in cans. As you can see, you made several mistakes, or you will make several mistakes should you throw a party in which Coors Light and Chex party mix are served and Ed Sheeran is overplayed. If you want people to enjoy your new kitchen and have fun at your party, you need to take our advice. Plan at least three months out so that all of your guests have ample time to accept your invitation or think up of a good excuse not to show up. Pick a date when nothing is going on, like the Super Bowl or the Walking Dead season finale and you are more likely to have more people attend. Planning a guest list will give you an idea of how many people will be at your party and it will also give you the opportunity to avoid awkward situations. For example, you want to invite Linda, but you have already invited Paul, who just happened to have recently broken up with Linda. It was not an amicable break up by any stretch of the imagination. So inviting them both is just asking for trouble. Pick a theme for your party, one that is both unique and fun. Try to avoid the same themes that have been done hundreds of times over, like a 1980s theme or a Star Wars theme, these are just lame. Instead, think of something off the cuff, like a mac-n-cheese party or celebrate on obscure holiday, like Fruitcake Toss Day or Squirrel Appreciation Day. You can also combine weird holidays and have a Squirrel Toss Day celebration. If you are throwing a food-themed party like a mac-n-cheese party, then choosing the food is easy. But if you are celebrating Squirrel Appreciation Day, you will need to develop a menu. Think about the theme of your party and figure out what foods will go well with it. For example, we are willing to bet that serving nuts at a Squirrel Appreciation Day celebration would go over rather well. No party is complete without drinks. There is a high probability that you will be serving alcoholic beverages, your party will probably be a bummer if you don’t. What you serve is up to you, but some good choices include wine and beer. Just make sure the beer is cold and not served in a can. And definitely, don’t serve Coors Light. You also want to have non-alcoholic beverages for those who don’t partake in spiked libations. It would be awesome if everybody had your taste in music, but they don’t, so forget about playing Twisted Sister, White Lion, Winger and Quiet Riot. Look, we love the 1980s as much as the next person, but you need to mix things up and play songs from various decades and a variety of genres, except country western of course. Follow these tips and your party will be awesome and people will love your remodeled kitchen. 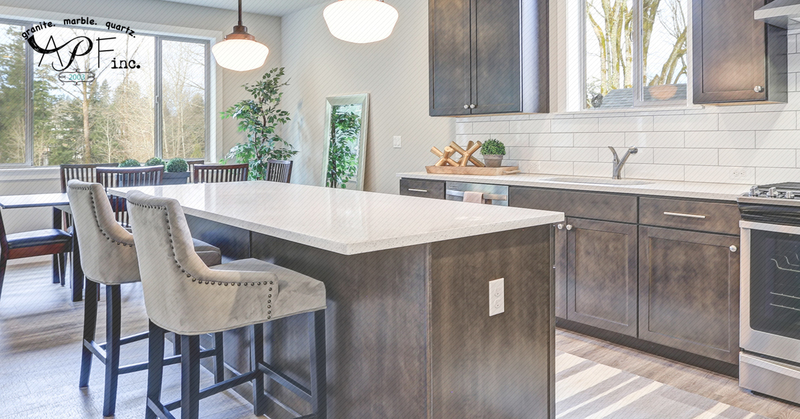 If you are interested in an updated kitchen, give A Polished Finish a call.